Please use our cost comparison sheet to evaluate your current and future expenses of living in your own home or apartment compared to the expenses of living at Woodcrest Village. 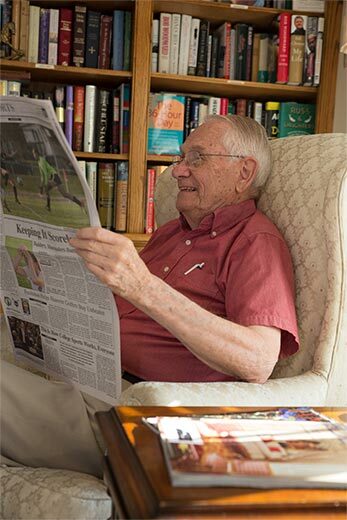 Woodcrest Village offers 44 assisted living apartments including studio, one-bedroom, deluxe, and suite accommodations. All of the apartments at Woodcrest Village include a telephone hook-up, cable, private bath, and emergency response system. Depending on the size and location of the apartment, rates for our accommodations range between $7750- $8525 per month. This is an all-inclusive fee with no additional care package fees. Please contact Bethany Brenner at Woodcrest Village to learn more. We would be happy to discuss the assisted living needs of you or your loved ones. Long-term care insurance is one of the few options that can help pay for assisted living services. If you have purchased a long-term care insurance policy, be sure to read the fine print before you assume it will pay for your assisted living care. Not all long-term care insurance policies are alike; they have specific stipulations about what they cover and do not cover, when benefits are paid, and how long they will pay for care. Because assisted living is a relatively new form of senior and dementia care, many insurance policies purchased in the late 1980s and early 1990s do not include that level of care as a benefit. Don’t assume that just because it covers nursing care that it will cover assisted living. 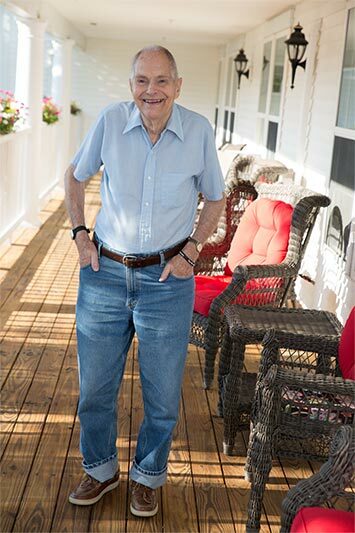 If you find that your policy does cover assisted living services, you need to be sure you will qualify. Most policies use your inability to perform certain “activities of daily living” (ADLs) as one trigger to determine if you are eligible. The activities of daily living that the insurance company will look at are bathing, continence, dressing, eating, toileting, and transferring. Washing yourself by sponge bath; or in either a tub or shower, including the process of getting in and/or out of the tub or shower. Ability to maintain control of bowel and bladder functions; or when unable to maintain control of bowel or functions, the ability to perform associated personal hygiene (including caring for catheter or colostomy bag). Putting on and taking off all items of clothing and any necessary braces, fasteners, or artificial limbs. This includes buttoning bottoms and tying shoes. Ability to, without the aid of another person, maintain an adequate food and fluid intake consistent with dietary needs. Getting to and from the toilet, getting on and off the toilet, and performing associated personal hygiene. Moving into or out of the bed, chair, or wheelchair. Transferring does not include the task of getting into or out of the tub or shower. If you think you might be eligible for benefits, you will need to submit a claim to your insurance provider. Your claim application process will likely include: 1) a written statement from your physician, 2) a written statement from the Assisted Living facility, and 3) a one-on-one interview with a nurse representing the insurance company. Keep in mind, most policies include an ‘elimination period’; this is a number of days you will be responsible for paying the cost of Assisted Living care before insurance begins paying. Woodcrest Village is a recognized Assisted Living provider for many long-term care insurance policies that exist, but you will want to make sure your particular policy covers the services you need. Once approved, the monetary benefit you receive will be paid directly to you. It is then your responsibility to pay the total of your Woodcrest Village monthly amount. Internal Revenue Code Section 213 (a) provides an itemized deduction for unreimbursed medical expenses to the extent that such expenses exceed 7.5% of adjusted gross income. Treasury Department Regulations under this Section state that the extent to which expenses for care in a facility other than a hospital are deductible depends on the condition of the individual and the nature of the services received. It does not depend on the nature of the facility. He or she is unable to perform, without substantial assistance, at least two out of six daily living activities (eating, toileting, transferring, bathing, dressing, continence) for a period of at least 90 days due to a loss of functional capacity. He or she requires substantial supervision to protect him or herself from threats to health and safety due to severe cognitive impairment. If the individual’s condition is such that the availability of medical care in a facility is not a principal reason for his or her presence there, meals and lodging at the facility are not deductible. Only the cost attributable to medical care qualifies as deductible medical expense. If a family member pays for all or a portion of the cost of the facility, he or she may be able to take the medical deduction if the resident of the facility qualifies as the payer’s dependent. Please contact your tax advisors for specific guidance in regard to your personal circumstances.